Premier adjustable bed offers the ultimate in style and comfort. Available in all sizes, features include independent foot and head operation controlled by a single, low voltage, whisper quiet electric motor. The 4 or 8 inch foundation profile, high-density, heavy duty padded base is made with Advantech® material that will not warp, break or squeak. 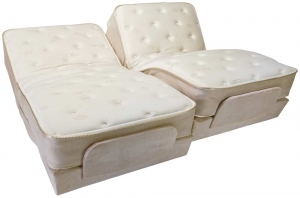 Innerspring mattresses come in your choice of soft, medium or firm construction. Premier mattresses are also available in low profile, gel-infused memory foam*, memory foam*, latex* or combination innerspring/memory foam*. This adjustable bed offers more options, more settings and the most positions, all controlled with a new easy to operate hand control. 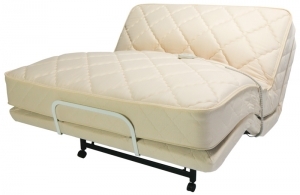 The Value-Flex adjustable bed is an exceptional value, featuring independent head and foot operation with a state of the art hand control. The 4 inch foundation profile, high-density, heavy duty padded base is made with Advantech® material that will not warp, break or squeak. Innerspring mattresses come in your choice of soft, medium or firm construction. This adjustable bed offers more options, more settings and the most positions, all controlled with a new easy to operate hand control. Superior engineering and strong metal mechanisms offer smooth operation while a whisper quiet, low voltage, motor powers the independent head and foot positioning. Both types of adjustable beds give you the option of attaching your own decorative headboard to seamlessly integrate your new bed into your existing bedroom. 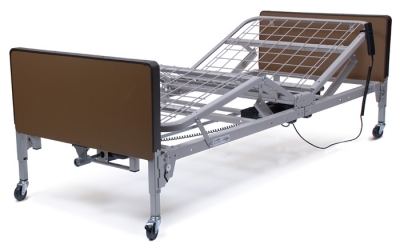 Hospital beds are perfect for anyone needing an adjustable bed when coming home after an illness or injury. 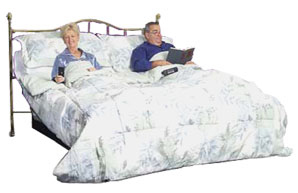 Full electric models have electronically adjustable head, foot and floor-to-bed height. On semi-electric models, only the head and foot are electronically controlled. We also have a variety of patient lifts and other accessories that will help your recovery at home. Ask your MediEquip representative about items that are right for you. The contents of this site are for informational purposes only and should not substitute for professional medical advice, diagnosis or treatment. Please contact your physician or other qualified health care provider with any questions you may have about any medical condition. Please see Policies section for more information.